Creating the perfect landscape can seem like an intimidating goal, but if you work through all of the steps along the way, it’s easier than you think! To create the perfect landscape, you should always group plantings together. By planting in big swaths of beautiful flowers or greenery, your landscape will look much more professional and lush. If you aren’t sure what plant you should install in big areas, work with a landscaping professional from Atlantic Maintenance Group to find the right fit. If your current approach is planting one or two of each plant and flower you pick up at the garden store, it’s time to change up your approach. Instead, purchase multiples of your plants and flowers that look nice together and install them in your landscape in a symmetrical or visually interesting manner. Consistency is key to creating the perfect landscape! Whenever possible, you should use plants that serve more than one purpose. If your yard is small and tight, you should always use plants and flowers that are double-duty. One example is planting a small apple tree or fruit tree near the property line between you and your neighbor. 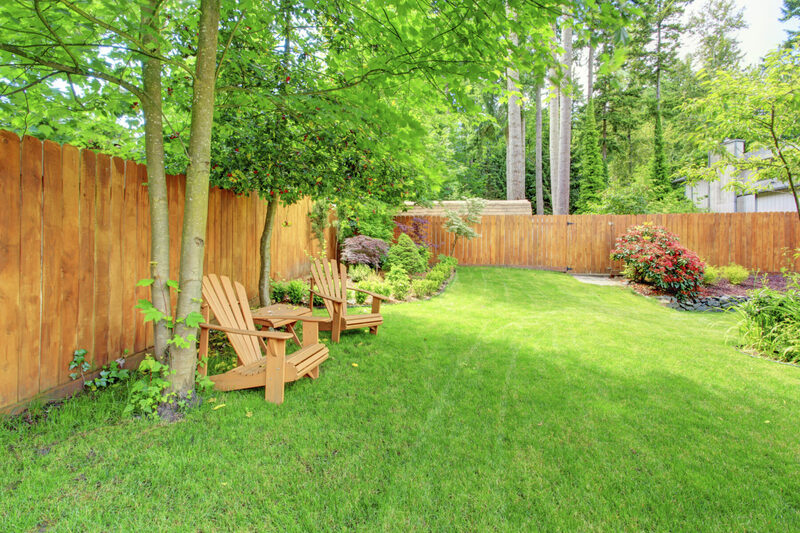 This tree will look gorgeous in your yard and also help to offer you a greater amount of privacy in your yard. Want to make your landscape exciting and different? Choose contrasting colors that will look striking next to each other. Instead of planting red and pink, try planting a deep purple and yellow. Two contrasting colors will be much more visually interesting and appear more professional. Finally, you should have fun with things! The perfect landscape is not hard to achieve, and if you truly love the plantings you are selecting, anyone walking by your yard will be able to tell. This entry was posted on Friday, December 1st, 2017	at 10:29 pm	and is filed under Landscaping Design, Landscaping Maintenance, Lawn Tips	. You can follow any responses to this entry through the RSS 2.0	feed. Both comments and pings are currently closed.